CHICAGO –(ENEWSPF)—June 14, 2017. Parents worried their children could be exposed to lead in public school drinking water, and residents who may be unable to heat and cool their homes during extreme weather were among the citizens calling on Gov. Bruce Rauner to end his 700-day budget impasse Wednesday at a budget hearing in Chicago. 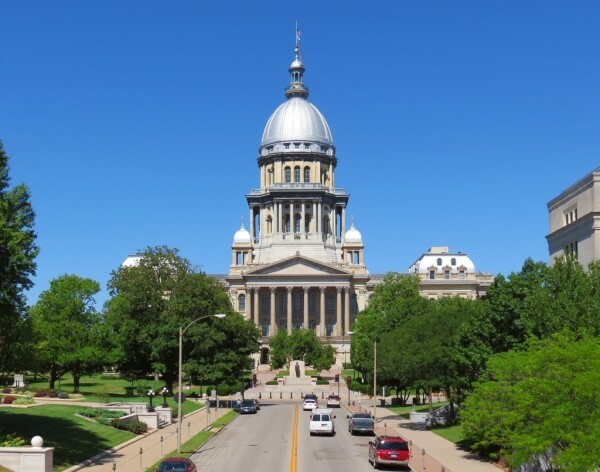 Legislators on the House Appropriations-General Services Committee heard testimony from parents who expressed outrage that the governor’s budget crisis might prevent the Illinois Environmental Protection Agency from being able to effectively screen for lead in drinking water. Recently, dangerous levels of lead were discovered in a number of public schools, prompting outcry from parents. Rauner’s budget crisis has also jeopardized funding for the Low Income Home Energy Assistance Program (LIHEAP), which helps tens of thousands of Illinois citizens—including homebound elderly residents—cope with extreme heat and cold. Without this important service, low-income families could have a more difficult time finding the money to afford their rent, put food on the table, and provide other necessities. Where can I find government help I need in Rich Township? Rauner has insisted legislators rubber stamp his changes to pad the profits of big corporations and further enrich wealthy CEOs and big insurance companies before he will negotiate a budget. Democrats have worked to compromise with the governor in order to get down to the business of passing a balanced budget. While Rauner has talked about a property tax freeze, House Democrats went further and voted to cut property taxes. Acting on the governor’s demands, Democrats have passed significant reforms to the workers’ compensation system, voted to sell the Thompson Center and reformed the state procurement system. Democrats worked to pass a package of economic reforms that levels the playing field for small and medium-sized businesses in our communities and invests in businesses that invest in Illinois. But while Democrats have worked to find common ground with the governor the items he holds as pre-conditions to negotiating a state budget, the governor has refused to come back to the table.